By now, Kammarheit is about as close to a household-name as one can get, within the dark ambient community. Over the last 15 years, Kammarheit has properly released three full-length albums, as well as the Unearthed 2000-2002 set, all through Cyclic Law. Kammarheit first made waves on the scene with the Nord Ambient Alliance album. An album which was one of the very first releases on Cyclic Law. To this day it is unmistakably pertinent to dark ambient. Kammarheit released these tracks alongside with a few other artists, including Northaunt and Svartsinn. Nord Ambient Alliance, and its contributing artists, would help shape the face of the dark ambient scene. These three projects have since been referred to fondly as the face of the second wave of dark ambient. The cold, cinematic, and subtle sounds of Nord Ambient Alliance provided a template for future artists, that still to this day holds strong. Asleep and Well Hidden immediately followed. This album would give listeners a taste of what a full Kammarheit album sounds like. 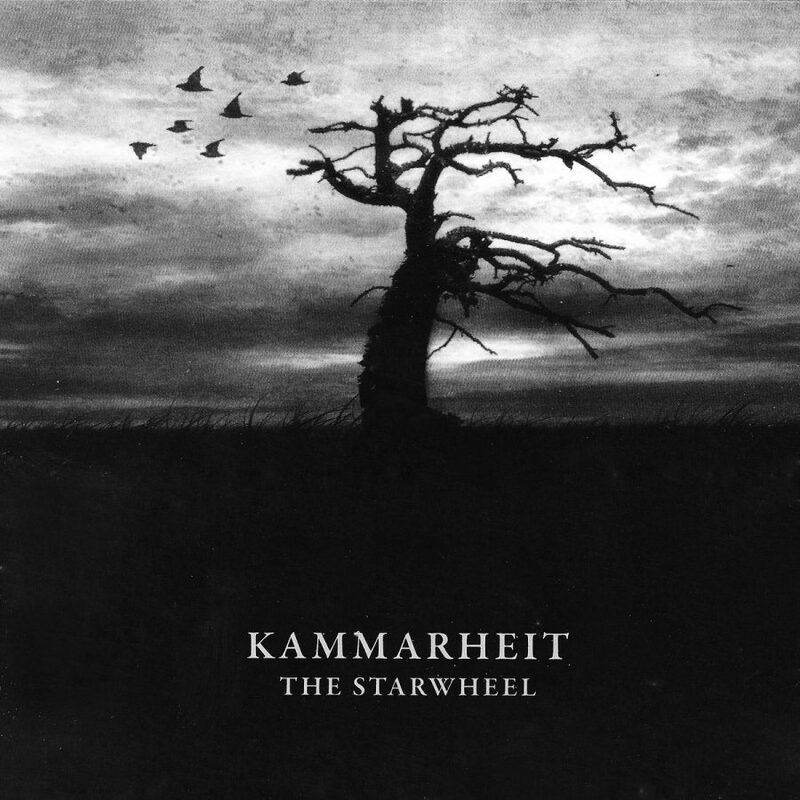 Yet, it wasn’t until The Starwheel that Kammarheit truly found his calling, and his audience. The Starwheel is named almost unanimously as one of the most important albums to the entire dark ambient genre, sharing this coveted position with other classics like Stalker by Lustmord and Robert Rich, as well as Prospectus I by raison d’être. What could be so captivating about this album, putting it on a pedestal above so many other brilliant works in the genre? The answer is simple, Kammarheit was able to find that sweet-spot where subtlety, cinematics, and boldness all collide. I’ve used this album easily a hundred times to fall asleep, something that isn’t possible with many dark ambient albums. The slowly sweeping drones match brilliantly along side the bold use of field recordings. These field recordings serve two purposes. They bring out the cinematic element, giving listeners thoughts of some massive clock tower, overshadowing a cold, misty landscape. They, simultaneously, give the album a punch, a direct and sometimes overwhelming sense of purpose. As all the aforementioned elements come together, the listener sinks into a sort of trance-like state. In those moments when the mind is at its most vulnerable, just before sleep takes its grasp, The Starwheel shines the brightest. The mind is able to fall in synchronization with the album. The dreamy drones lull the listener to the very edge of sleep. Just as this happens some bold sounds push through the blanket of slumber. This collision can put the mind in tune with the music. Just as the notes from a guitar take on a celestial perfection as they are brought in tune, so the mind equally finds this perfection in these moments during The Starwheel. As the mind goes in tune with the music, the listener is able to feel an sort of out-of-body experience, a oneness with the music. A relationship is born herein which gives the listener a warm connection, a loving bond which may never be broken. Waking up hours later, reflecting on this phenomenon seems almost impossible. Yet, again, it arrives the following night in those moments before slumber. What followed The Starwheel was an unexpected gap of roughly a decade before the release of its successor, The Nest. Yet, Kammarheit never lost relevance over this time. Fans pined over The Starwheel and Asleep and Well Hidden. They dug up, from the deep recesses of the internet, previously unreleased works by Kammarheit. These six unreleased albums took on such a life of their own that in early 2015 Cyclic Law released Unearthed 2000-2002, finally giving these albums a proper mastering and a beautiful presentation, in the form of a cloth-bound digibook. Since the re-emergence in 2015 of Kammarheit, there have been a slew of releases from Pär Boström. The Nest marked the return of Kammarheit. It was a brilliant album full of foggy supernatural soundscapes, true to the form of previous Kammarheit works. Cities Last Broadcast, Pär’s side-project, released its sophomore album The Humming Tapes on Cryo Chamber. Kammarheit joined up with Atrium Carceri and Apocryphos for two of the most compelling dark ambient releases to date in Onyx and Echo. Pär, joined by his sister Åsa, established their new label and printing press, Hypnagoga Press. On Hypnagoga Press, Pär and Åsa released their first cooperative project, Hymnambulae, an eerie, yet beautiful take on the more mystical side of dark ambient. Hypnagoga Press released its second album, Altarmang Void, months later, a mystical partnership between Pär Boström and Kenneth Hansson. What comes next is anyone’s guess. Among Cryo Chamber, Cyclic Law, Hypnagoga Press, and who knows how many more partnerships, Pär Boström seems to be on a roll with no end in sight. This is surely just fine with his die-hard fans, who were accustomed to waiting great swathes of time between releases. Yet, these die-harders are finding their company growing every day, as Pär Boström takes his career to new heights, and apparently the sky is the limit. Links: Kammarheit Official Site, Kammarheit Facebook, Kammarheit Bandcamp, Pär Boström Official Site , Hypnagoga Press Facebook, Hypnagoga Press Bandcamp, Altarmang Facebook, Altarmang Bandcamp.